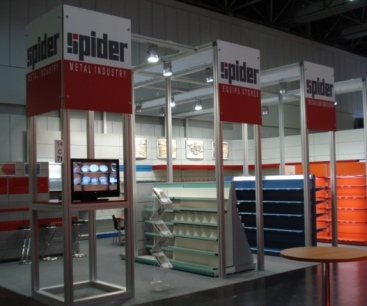 The company "SPIDER" I Apostolos Nestoratos and SIA EE is the continuation of the long process of the company George Pachtitis and SIA EE operating since 1971 and actives in the retail and warehouse equipment industry. Our company is based in Thessaloniki, at the 14th km. P.O Thessaloniki - Oreokastrou. The company has experienced managers and engineers are able to suggest solutions for better organization of your space. Cooperates with large firms in Greece and abroad thus bringing its customers a wide range of products. Copyright © 2010 Spider All rights reservedPowered by Softways S.A.